When you first started to learn how to sew you probably purchased your first package of straight pins and thought that was that. All straight pins are the same, right? Nope, and if you've ever stared at a wall of straight pins in the notions department, you'll quickly realize that there's actually quite few different types of straight pins. 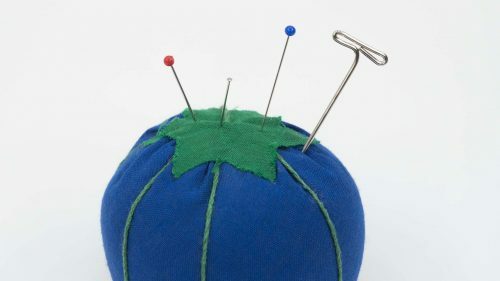 This tutorial covers different types and aspects there are to a straight pin so you can make sure you use the one that's the most appropriate for your fabric. Ultimately, you want straight pins that help rather than hurt your project.